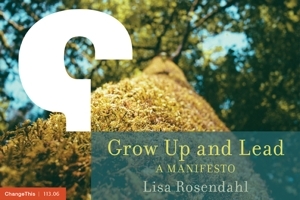 Lisa Rosendahl — Where Does Credibility Lie for You? I don't like people telling me what to do and how to do it. But since I am not the top of the pyramid, it's something I run into, oh, every now and then. When it happens, I take it better if the person walked in my shoes, brings experiences or perspectives I don't have to the issue. Be it social media use, addressing a human resource issue, unveiling a new initiative, or talking with me about my performance, experience is key for me. It's not about what was read, indicated or surveyed - it's much deeper than that. It gets into the what, the meaning, the how, the why . . . and the why not. It comes down to credibility. People will talk and when they do, I may choose to listen. And I listen for the "I" as in, "what I learned from my experience," because that's where credibility lies for me. Last week I asked, "Am I credible? Are you credible? How do you (we) know?" I received some wonderful perspectives in the comments. Master Resume Writer was thinking along the same lines as me when she commented that, " 'proof' of credibility ultimately lies in meaty, meaningful experience that you can 'speak' to in some depth/breadth; and a record of tangible results that you can show (not just tell) others." Two opinions, even as aligned as they are, do not make a consensus or end a conversation so I was glad to see comments from others. One in particular stopped me in my tracks. Alan ended by asking, "what other areas of credibility are there?" See, that's why I love this gig - I get to hear ideas, and take my mind places, I would never have gotten to on my own. I had not even considered that realms of credibility existed beyond experience - but Alan did. Awesome. So let me know . . . where does credibility lie for you?